Got this Stuffy nose when I was working on the last few pages of Hercules PowerUp Chapter 3, and it was stuffed while creating this picture, too. 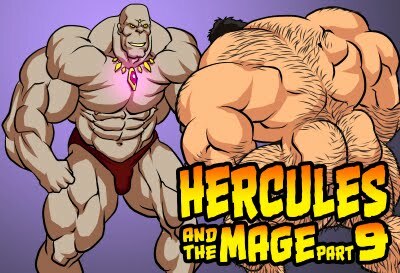 Lucien - "This place gives me the creeps Herc! Let's get out of here!" Hercules - "Don't be frightened. I won't let any ghosts or goblins harm you. I will protect you!" 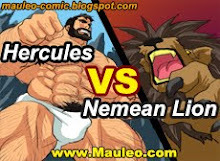 Lucien - "That's a little better"
Hercules - (Flexes his bulging bicep) "With these muscles, I will destroy any creature that even thinks about laying a hand on you!" thanks for the great halloween pic, Mauleo.